We are featuring a different Assistive Technology device each month. 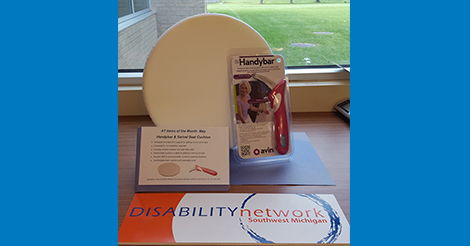 This month we are highlighting the Handybar and swivel seat cushion. The Handybar provides firm support for getting in and out of cars. It is a universal fit and no installation is required. It also features a window breaker and seatbelt cutter. The swivel seat cushion is ideal for getting in and out of cars. It swivels 360 degrees to accommodate numerous seating situations. It is made of comfortable foam and a washable cover. 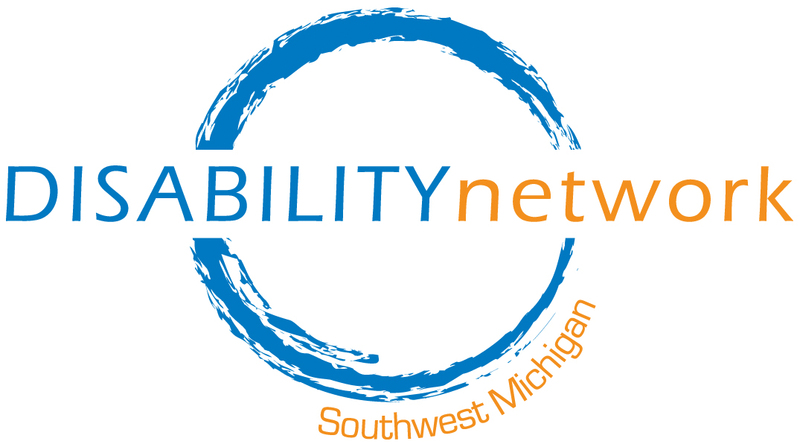 For more information about Assistive Technology, visit the Assistive Technology page of our website. The Assistive Technology Loan Fund (ATLF) is available to help people pay for tools for independence. The ATLF is a low interest loan available to people with disabilities and their family members to help purchase items like wheelchair-accessible vehicles, hearing aids, mobility devices, communication devices, or adapted recreation equipment. The ATLF can also pay for home modifications, including ramps, to make your home more accessible. Contact Lewis in our Kalamazoo office (269-345-1516 x107) for more information.